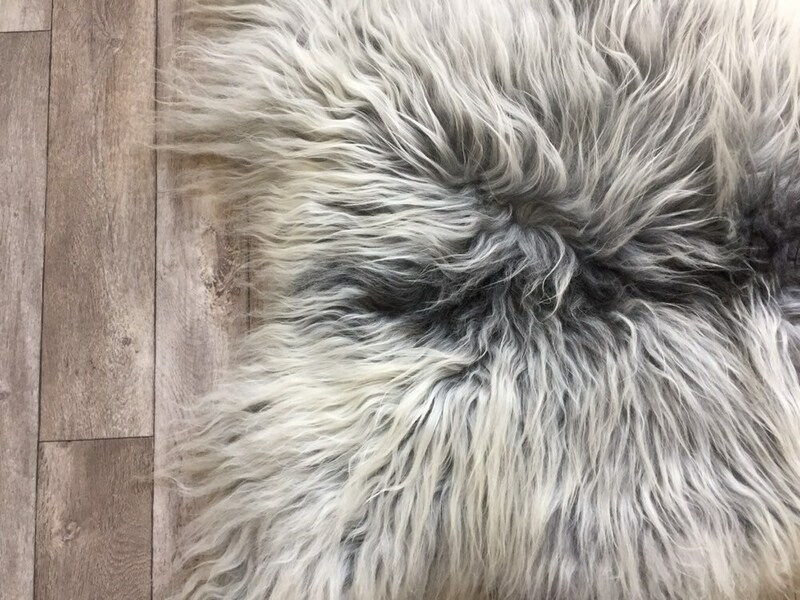 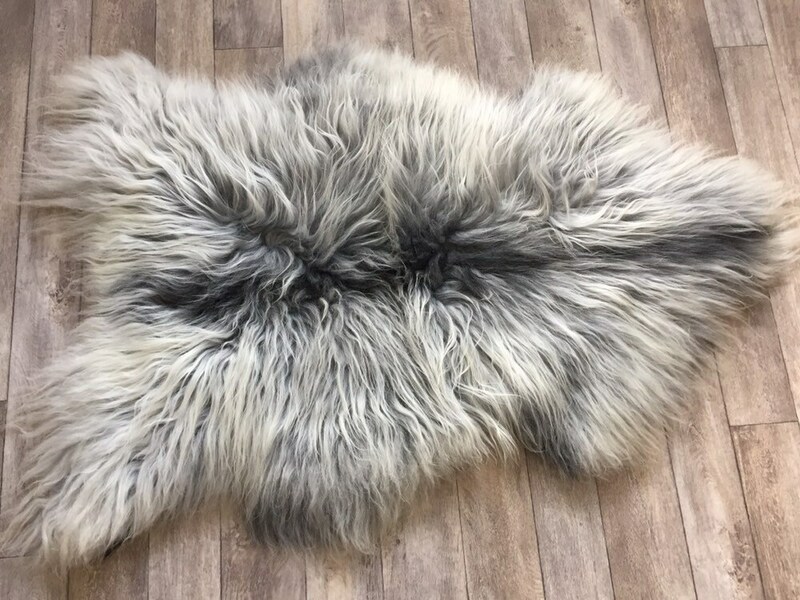 This sheepskin rug comes from the old Norwegian spael breed. 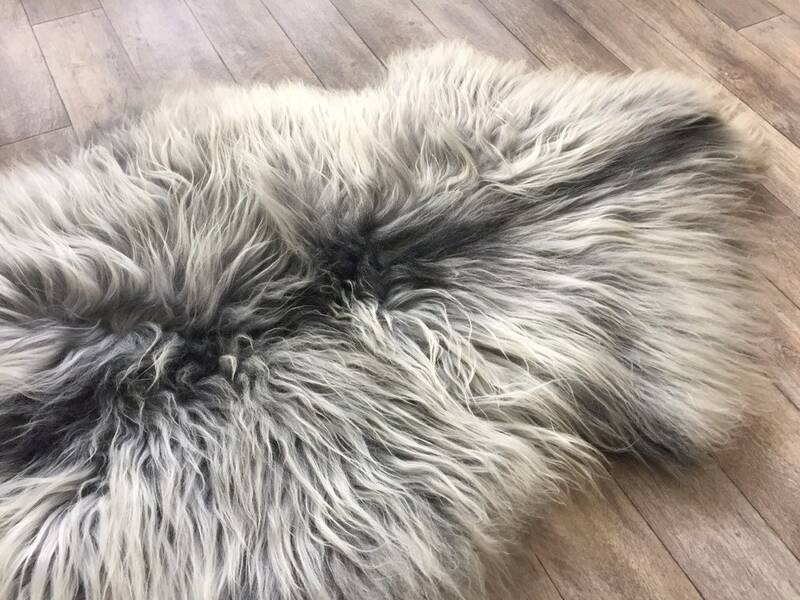 They belong to the family of North Atlantic short tailed sheep. 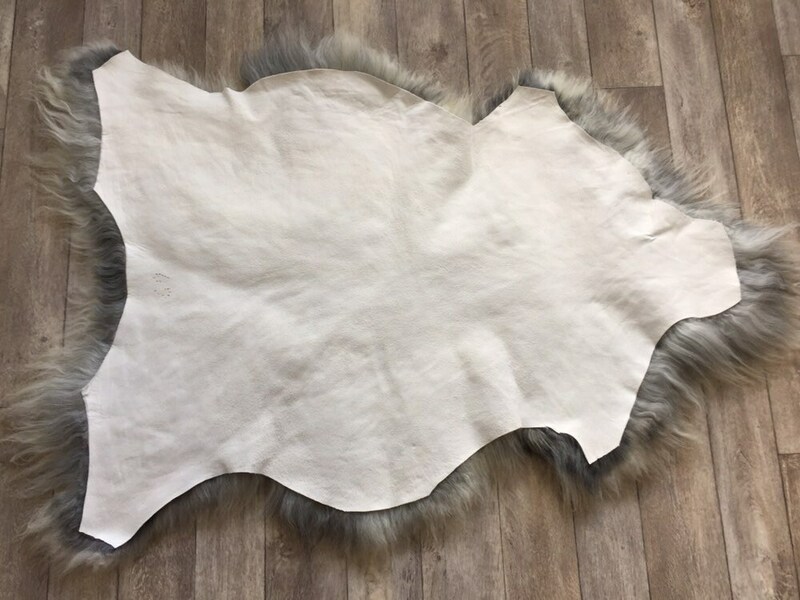 The measurements of this sheepskin is 94 cm x 71 cm from neck to rear and across the middle.